NAGA CITY—Camarines Sur II Electric Cooperative (CASURECO) II has released a power interruption advisory for May 26, 2015, from 8 a.m. to 5 p.m. Affected are the areas supplied by the Del Rosario 20 MVA power transformer, including Feeder 51, 52, 53, & 54 ( San Jose, Cadlan, Palestina Pili. San Antonio Milaor, Caroyroyan, Tinangis, Airport, Capitol Complex, CWC, Maydaso Milaor, Casureco II, Monte Cielo, Jardin Real, Villa Corazon, GSIS, Ford Motors, Camella Homes, DoÑa Conchita, Cararayan Proper & Urban Poor, Del Rosario, Salunguigui, Langon, San Isidro, Avida, Pacol, Carolina, Panicuason, San Felipe, part of Magsaysay, Bagumbayan Sur & Norte, Calauag, Capilihan, Filoville, Jacob, Queborac, Molave, Ateneo Ave, P. Santos, Vilmar Homes, Villa Francia, Tapaz Compound, BMC Old, NIA compond urban poor, Naga City Science High School, MNWD Cararayan, May Flower St, Mac Mariano Ave., Gimenez Subd., Basilica, Balatas, Green Acres, Citi Hardware, Villa Virginia, Villa Sorabella, Villa Grande Homes, Villa Concepcion Subd., St Jude Subd, Ramaida Village, Pepsi Cola, Coca Cola, Andoks, Almeda Village, Capucnasan Milaor. 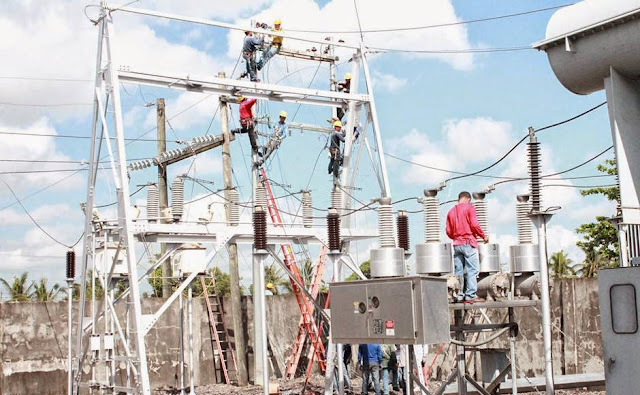 The power interruption is due to the annual preventive maintenance to be conducted by the National Grid Corporation of the Philippines, the advisory said. Power may be restored earlier than 5 p.m., however, it added.